If you're looking for the ultimate air conditioning solution for a large commercial building or home, they don't come better than VRF systems. 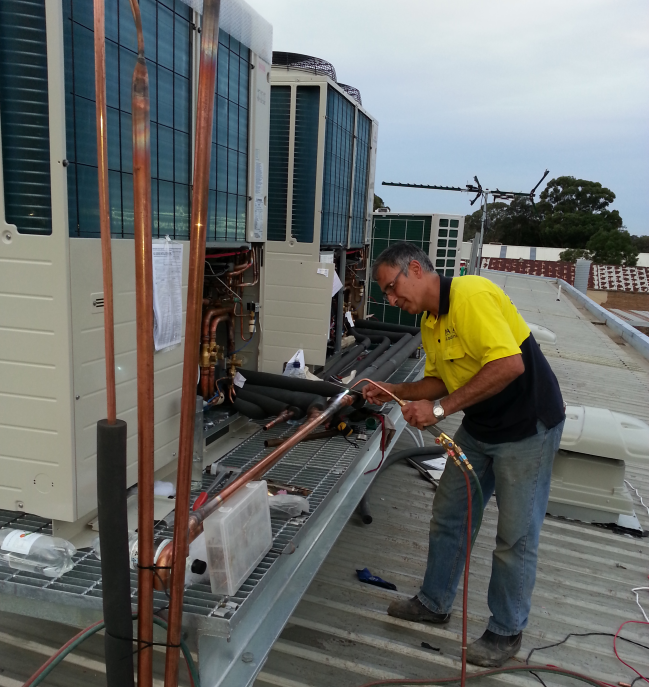 Maxim Air designs, supplies, installs and services VRV & VRF air conditioning in Hills District, North Shore and all Sydney metropolitan areas. Get in touch to arrange your obligation-free consultation with our highly experienced engineers today. What's the difference between VRV and VRF air conditioning? All variable refrigerant systems not produced by Daikin are known as VRF air conditioners, which is the vast majority of systems. These work on the same principles as VRV, but there's a much wider range of options to choose from across different brands and models. 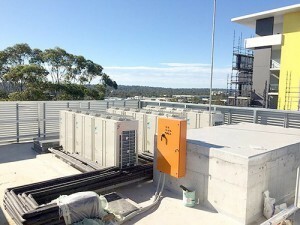 VRV and VRF are multi split systems with multiple indoor units connected to a single outdoor unit incorporating one or more compressors. 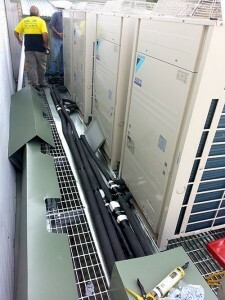 These units are connected by refrigerant piping and communication wiring in a closed loop. Each indoor unit can be independently controlled, either using a wired control panel or remotely. When a user activates an indoor unit and sets their desired temperature, the system responds by checking the indoor and outdoor conditions. It then delivers the precise amount of refrigerant needed to reach the optimal indoor temperature. The system constantly monitors and responds to changing ambient temperatures to keep power consumption at a minimum and maintain consistent temperatures. Many VRF systems can provide both cooling and heating. Ease of installation – VRF systems don't necessarily need to use ducting, which makes them quicker and cheaper to install. Their modular design means they can be installed in stages as needed. What types of VRF systems are there? Heat pump systems – providing all cooling or all heating across all climate zones. Heat recovery systems – heating and cooling may be used simultaneously in different zones. Cooling only systems – if you live in a warmer climate and don't require heating. Talk to our sales engineers at Maxim Air to find out more about VRV and VRF air conditioning and get your obligation-free quote. 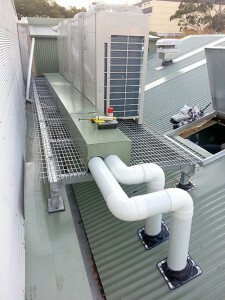 We install and repair all types of air conditioners in all Sydney metropolitan areas.